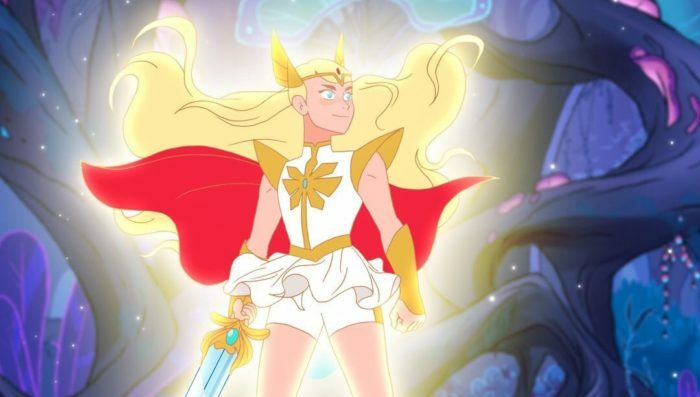 She-Ra and the Princesses of Power arrives on Netflix next week – and if you just can’t wait for the animated reboot, a new clip gives us our first proper look at her all-new transformation sequence. Produced by DreamWorks Animation Television, the series promises a modern take on the character for a new generation and charts the story of an orphan named Adora (Aimee Carrero), who leaves behind her former life in the evil Horde when she discovers a magic sword that transforms her into the mythical warrior princess. But what exactly that does transformation into warrior princess look like? A new clip shows us the gorgeously animated sequence in full – as well as giving us a sense of She-Ra’s complex relationship with the villainous Catra, who starts out as Adora’s friend. We also get a sense of the happier bonds being formed between Adora, Glimmer, and Bow, as the magical princesses unite to fight evil. 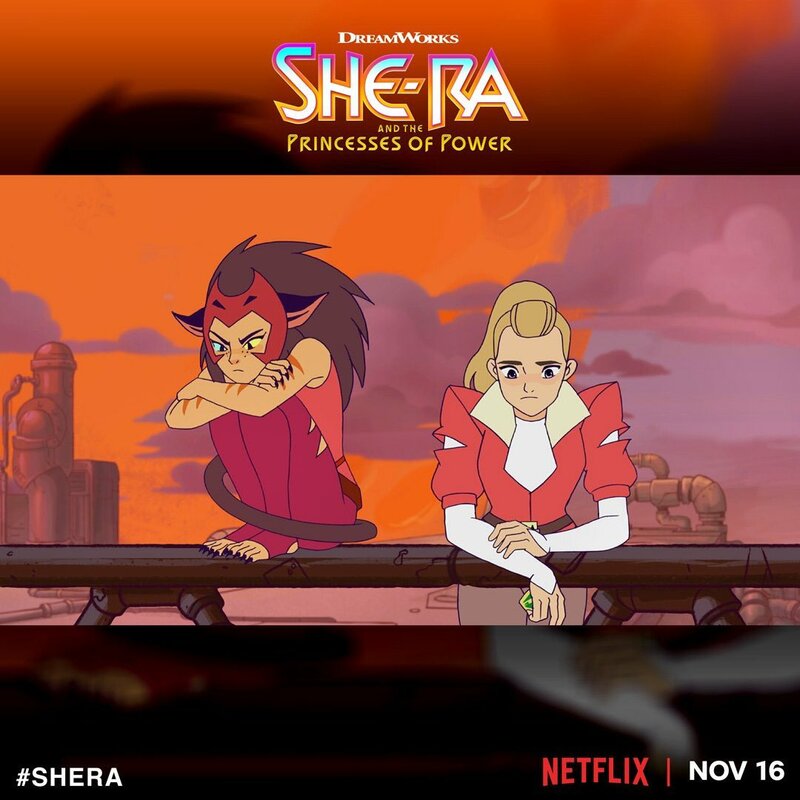 Noelle Stevenson is the showrunner on the reboot, and the voice cast includes Karen Fukuhara (Suicide Squad) as Glimmer, AJ Michalka (The Goldbergs) as Catra, Marcus Scribner (black-ish) as Bow, Merit Leighton (Alexa & Katie) as Frosta and Sandra Oh (Killing Eve) as Castaspella. 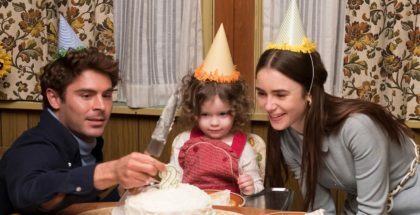 All episodes of the show premiere on Netflix on Tuesday 13th November – a few days earlier than originally announced. 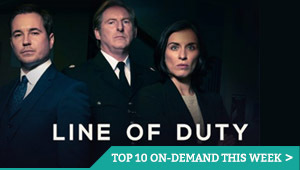 And, just in case your appetite hasn’t been whetted enough, here’s a the second trailer for the show. Altogether now: For the honor of Grayskull! For the honor of Grayskull! The first trailer for Netflix’s upcoming She-Ra reboot has landed online, and the video gives us our first glimpse of the new hero doing what she does best: transforming into the iconic warrior princess. The animated series, which promises a modern take on the character for a new generation, will chart the story of an orphan named Adora (Aimee Carrero), who leaves behind her former life in the evil Horde when she discovers a magic sword that transforms her into the mythical warrior princess. Along the way, she finds a new family in the Rebellion as she unites a group of magical princesses in the ultimate fight against evil. 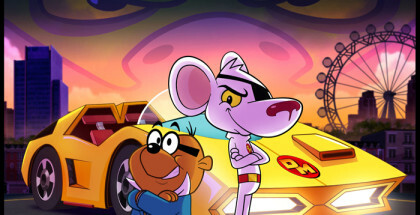 Produced by DreamWorks Animation Television with Noelle Stevenson as showrunner, the series boasts a cast that includes Karen Fukuhara (Suicide Squad) as Glimmer, AJ Michalka (The Goldbergs) as Catra, Marcus Scribner (black-ish) as Bow, Merit Leighton (Alexa & Katie) as Frosta and Sandra Oh (Killing Eve) as Castaspella. 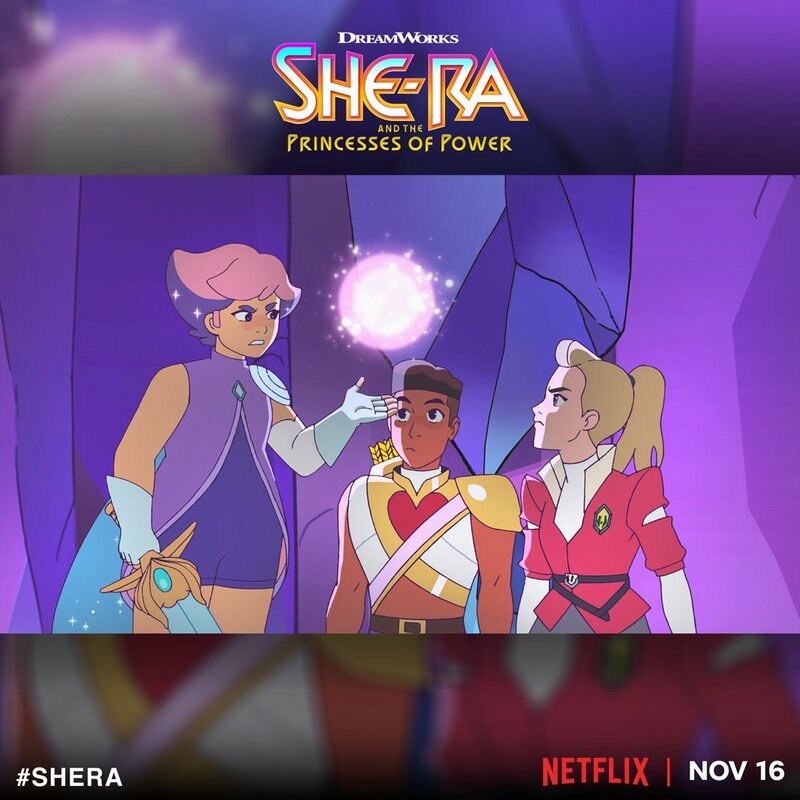 Netflix’s She-Ra and the Princesses of Power will officially arrive this November, and we’ve got our first proper look at hew new hero. The animated reboot of the 80s girl power icon was announced last year, promising “a modern take on the character for a new generation of young fans”. The series will chart the story of an orphan named Adora (Carrero), who leaves behind her former life in the evil Horde when she discovers a magic sword that transforms her into the mythical warrior princess. Along the way, she finds a new family in the Rebellion as she unites a group of magical princesses in the ultimate fight against evil. Aimee Carrero (Elena of Avalor) will lead the voice cast as Adora/She-Ra, alongside Karen Fukuhara (Suicide Squad) as Glimmer, AJ Michalka (The Goldbergs) as Catra, Marcus Scribner (black-ish) as Bow, Reshma Shetty (Royal Pains) as Angella, Lorraine Toussaint (Orange is the New Black) as Shadow Weaver, Keston John (The Good Place) as Hordak, Lauren Ash (Superstore) as Scorpia, Christine Woods (Hello Ladies) as Entrapta, Genesis Rodriguez (Time After Time) as Perfuma, Jordan Fisher (Grease Live!) as Seahawk, Vella Lovell (Crazy Ex-Girlfriend) as Mermista, Merit Leighton (Alexa & Katie) as Frosta, Sandra Oh (Killing Eve) as Castaspella, and Krystal Joy Brown (Motown: The Musical) as Netossa. Produced by DreamWorks Animation Television with Noelle Stevenson as showrunner, anticipation among fans is already high – and now, Stevenson has finally . Along with the air date, she also released a bunch of new images giving us a full look at the show’s animated style, including the new look for the modern hero. 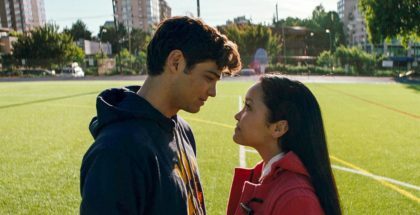 Netflix has revealed the cast for its new She-Ra series. The animated reboot of the 80s girl power icon was announced at the end of last year, promising “a modern take on the character for a new generation of young fans”. Now, we have our first look at the people helping to bring the show back to life, from Orange Is the New Black’s Lorraine Toussaint to Killing Eve’s Sandra Oh. 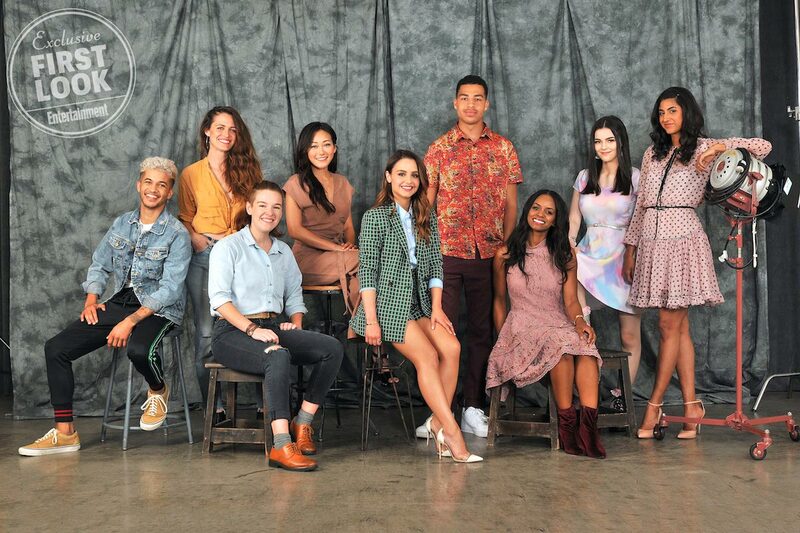 Aimee Carrero (Elena of Avalor) will star as Adora/She-Ra, alongside Karen Fukuhara (Suicide Squad) as Glimmer, AJ Michalka (The Goldbergs) as Catra, Marcus Scribner (black-ish) as Bow, Reshma Shetty (Royal Pains) as Angella, Lorraine Toussaint (Orange is the New Black) as Shadow Weaver, Keston John (The Good Place) as Hordak, Lauren Ash (Superstore) as Scorpia, Christine Woods (Hello Ladies) as Entrapta, Genesis Rodriguez (Time After Time) as Perfuma, Jordan Fisher (Grease Live!) as Seahawk, Vella Lovell (Crazy Ex-Girlfriend) as Mermista, Merit Leighton (Alexa & Katie) as Frosta, Sandra Oh (Killing Eve) as Castaspella, and Krystal Joy Brown (Motown: The Musical) as Netossa. 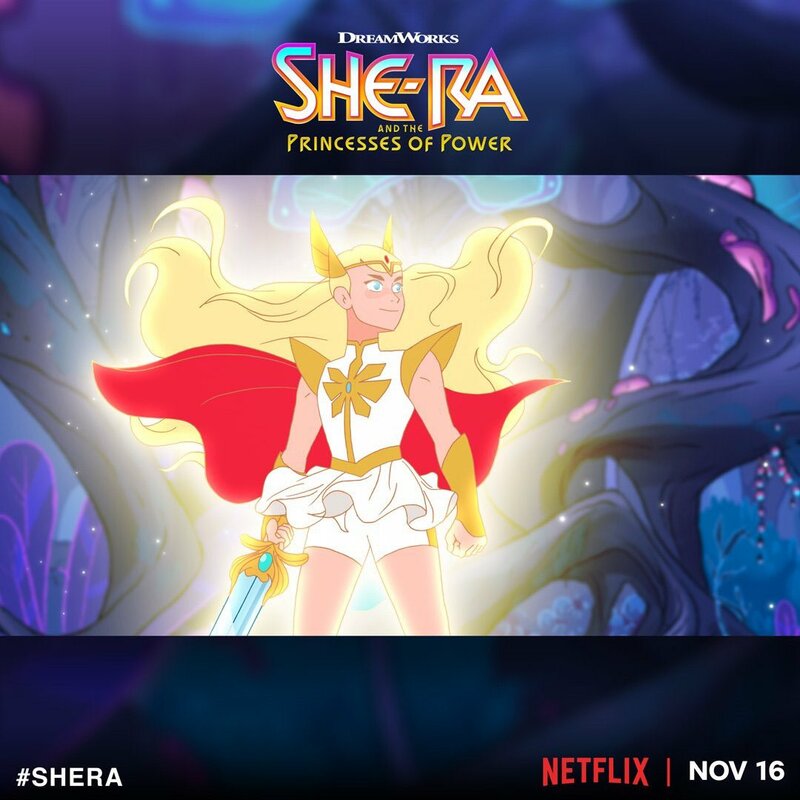 Called She-Ra and the Princesses of Power, the animation will chart the story of an orphan named Adora (Carrero), who leaves behind her former life in the evil Horde when she discovers a magic sword that transforms her into the mythical warrior princess She-Ra. Along the way, she finds a new family in the Rebellion as she unites a group of magical princesses in the ultimate fight against evil. The trailblazing property originally debuted in 1985 to satisfy overwhelming demand for a female-led fantasy series. Eisner Award-winning author and executive producer Noelle Stevenson (Lumberjanes, Nimona) and executive producer Chuck Austen (Dawn of the Croods, Steven Universe) are ones crafting this modern take on the iconic character. Alongside the new photo of the voice cast, Netflix has also debuted a poster for the series, giving us an idea of the tone they’re aiming for. “With Stevenson’s unique voice at the helm, fans are in store for an epic and timely adventure that celebrates friendship and empowerment, led by a warrior princess tailor-made for today,” says Netflix. 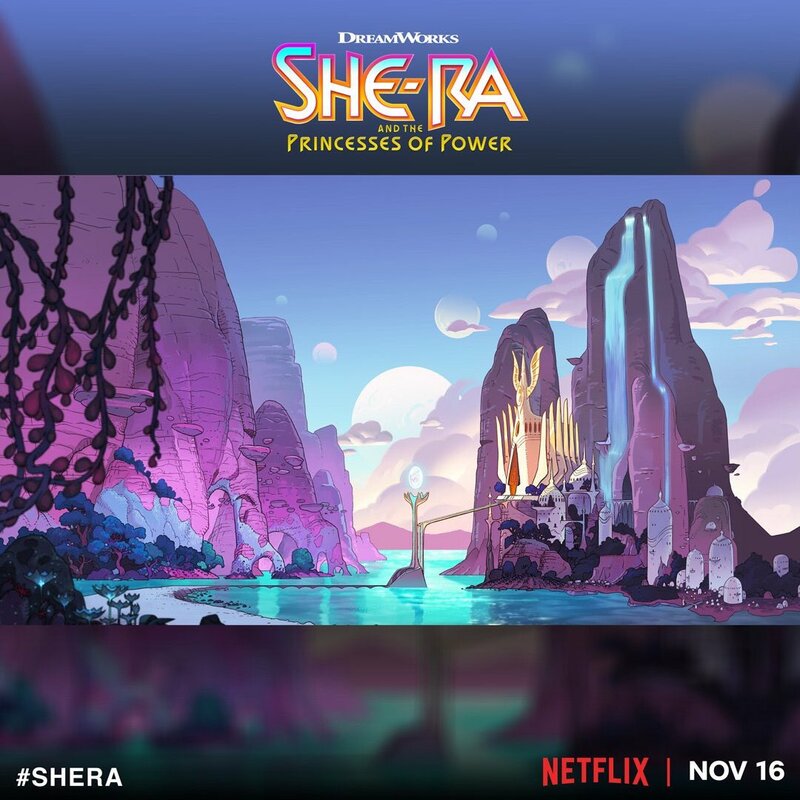 Produced by DreamWorks Animation Television, as part of its ongoing partnership with Netflix, She-Ra and the Princesses of Power will premiere globally on the streaming service this year. Netflix is bringing back She-Ra to our screens in a new animated series. The streaming giant is teaming up with DreamWorks Animation Television for the revival of the 80s girl power icon. Since 2013, DreamWorks and Netflix have released 12 original series, including Trollhunters, Dragons: Race to the Edge, Voltron Legendary Defender, All Hail King Julien, DreamWorks Spirit Riding Free, Dinotrux and more, winning a total of 17 Daytime Creative Arts Emmys and six Annie Awards. Now, the pair have announced their slate for 2018, and She-Ra is leading the pack. 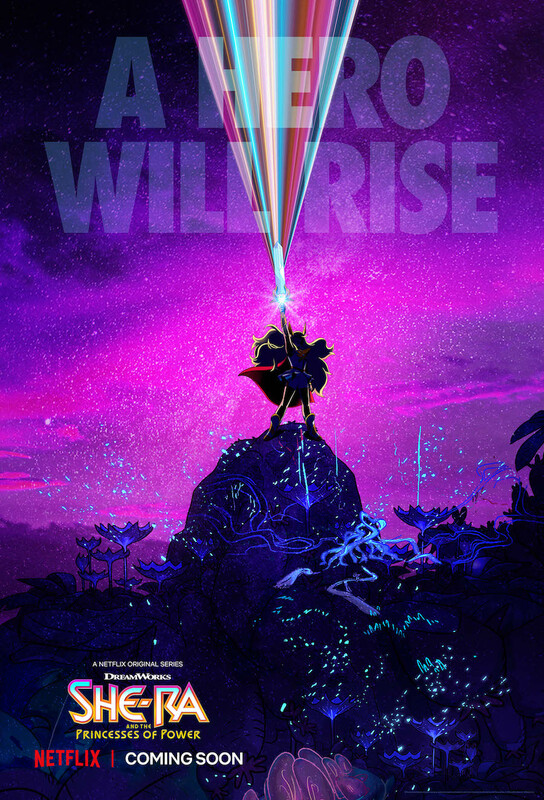 From executive producer Noelle Stevenson, the new She-Ra series will present “a modern take on the character for a new generation of young fans”, says Netflix. Other shows in the works include Trolls: The Beat Goes On, a spin-off The Boss Baby and The Epic Tales of Captain Underpants. The She-Ra reboot has no release date yet, but promises to celebrate female friendship and empowerment. Click here to see the full line-up.